Native American legend across the country holds that the Great Spirit build the land, make the seas, and fill both well with animals and people: Long, long ago when the Great Waters surged in a blind and shoreless world, the gigantic beaver swam and dove and spoke with the Great Spirit. The two of them brought up all the mud they could carry, digging out the caves and canyons and shaping the mud into hills and dales, making mountains where cataracts plunged and sang. Some tribes believe that thunder was caused by the great beaver slapping his tail. Beavers are among the largest of rodents. They are herbivores and prefer to eat leaves, bark, twigs, roots, and aquatic plants. These large rodents move with an ungainly waddle on land but are graceful in the water, where they use their large, webbed rear feet like swimming fins, and their paddle-shaped tails like rudders. These attributes allow beavers to swim at speeds of up to five miles (eight kilometers) an hour. They can remain underwater for 15 minutes without surfacing and have a set of transparent eyelids that function much like goggles. Their fur is naturally oily and waterproof. Beavers are considered to be pests by some; scientists actually have proven that beavers are a "Keystone" species in North America. This means that beavers play a crucial role in biodiversity. 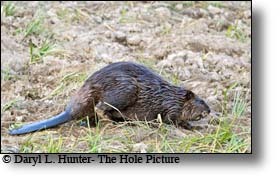 Innumerable species rely either partly or entirely on beaver ponds, many of them threatened or endangered. Therefore, wherever we coexist with them, they provide the habitat necessary for supporting many other species, and protecting the web of life upon which we depend. A keystone species is a species that has a disproportionate effect on its environment relative to its biomass. Such species affect many other organisms in an ecosystem and helps to determine the types and numbers of various other species in a community. A keystone species is a species that plays a critical role in maintaining the structure of an ecological community and whose impact on the community is greater than would be expected based on its relative abundance or total biomass. 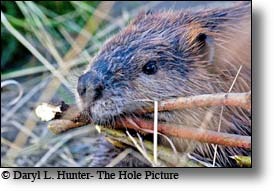 The beavers’ ability to change and reshape their environment to fit their needs is rare in nature. Humans and elephants are the only other animals that have such a large impact on their environment. Beavers devote much of time to building and maintaining their dams. 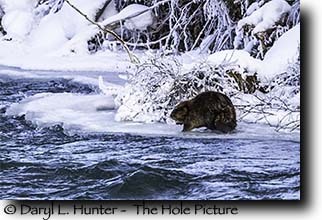 A beaver’s desire to build a dam is very instinctive; they seem to not be able to tolerate moving water, as it must be stopped. Beavers in captivity will build useless dams just so they can build. In the wild, scientists have observed beavers making repairs and additions to human-made dams. Beavers hate the sound of running water. It makes them think there could be a leak in their dam. If they hear running water, they will often work day and night to find the leak and repair it. A Jackson Hole rancher, Chancy Wheeldon, one day built a pond all, but the spillway, which he would complete the following day. 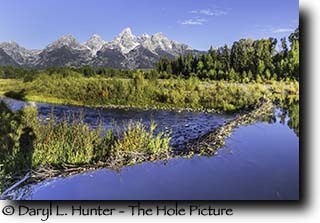 The following day he awoke to find beavers had finished his dam that leaked the perfect amount to regulate stream flow. Aside from the very important biodiversity issue, most people are unaware that there are many other benefits to beaver ponds. 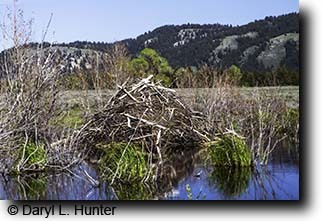 Benefits of Beaver Ponds include, a decrease in damaging floods, recharge aquifers, removal of pollutants from surface and ground water, drought protection, decreased erosion, they produce food for fish and other animals which support biodiversity, including 43% of our endangered species, creating vital habitats while preserve open space. 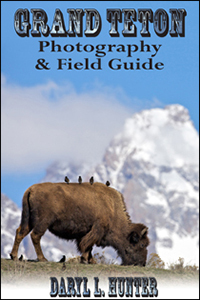 All this creates a greater opportunity for wildlife observation, hunting and trapping, canoeing/kayaking, fishing, photography, bird watching and quiet relaxation in nature. Beavers rarely overpopulate because they breed only once a year, defend large streamside territories from strangers, and the two-year-olds leave home each spring to find mates. They are limited to a small fraction of the landscape that is close to waterways. Kits have many predators including hawks, owls, and otters. 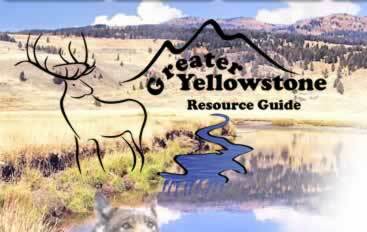 Bears, wolves, and coyotes will also take older beavers that are especially vulnerable when seeking new territories. Dome like beaver homes, called lodges, are also constructed of branches and mud. They are often strategically located in the middle of ponds and can only be reached by underwater entrances. These dwellings are home to extended families of monogamous parents, young kits, and the yearlings born the previous spring. They also make homes along river edges where they dig dens in the riverbank. Beavers mate for life, but if one mate dies, the other one will find another mate. Beavers mate when they are about three years old. 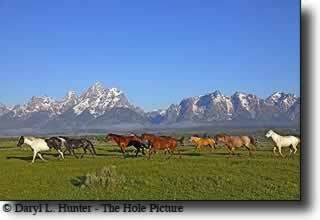 Mating season runs from January through March in cold regions in late November in the south. Gestation lasts about three months and females have one litter of kits a year between April and June. Before birth, the female will make a soft bed in the lodge. The babies eyes are open when they are born, and they can swim within 24 hours of birth and will be exploring outside the lodge with their parents within a few days. The young beavers are weaned in about two weeks. Both the male and the female take care of the young beavers. They will stay with their parents for two years. Beavers can live to be 20 years old. Beaver’s thick, soft pelts were the initial draw to the Rocky Mountains for trappers in the early 1800.s. Beaver furs were highly coveted in Europe for centuries, and the animals were hunted nearly to extinction on that continent by the mid-1500s. The North American beaver trade served as new, seemingly endless supply, and beaver hats were all the rage again in Europe by the mid-1600s, funding the continued development and settlement of the American colonies much to the charging of the beaver. By the mid 1800s, American beavers were on the brink of being wiped out, and their salvation and eventual recovery hinged on the whims of fashion: In the 1840s, silk top hats replaced beaver-felt hat as the must-have headwear. In the last 50 years, as environmental regulations improved water quality and habitat, beavers at last staged their comeback in the Rockies. Beavers have responded well, and now they're found pretty much everywhere around the Rockies ad elsewhere wherever there's water.